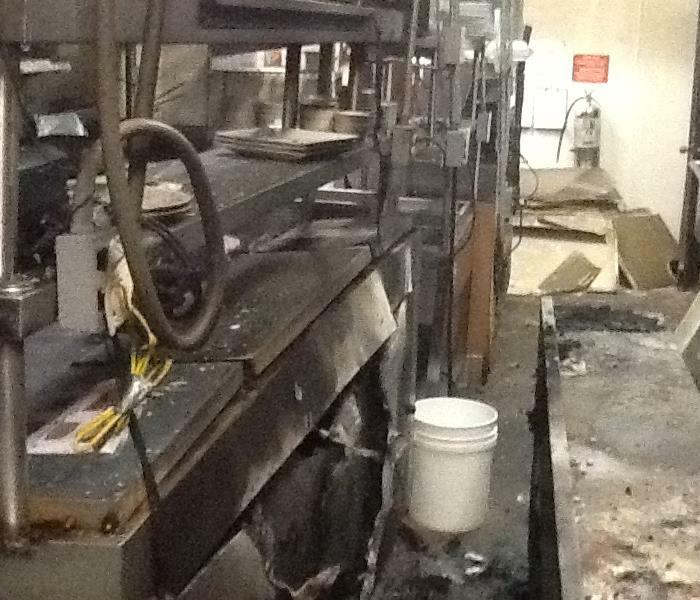 In Crowley, this commercial kitchen had a fire that almost destroyed the entire facility. SERVPRO of Crowley and south Johnson County arrived on site to restore the kitchen. We were able to get the job done efficiently and the owner was pleased with the work we did. 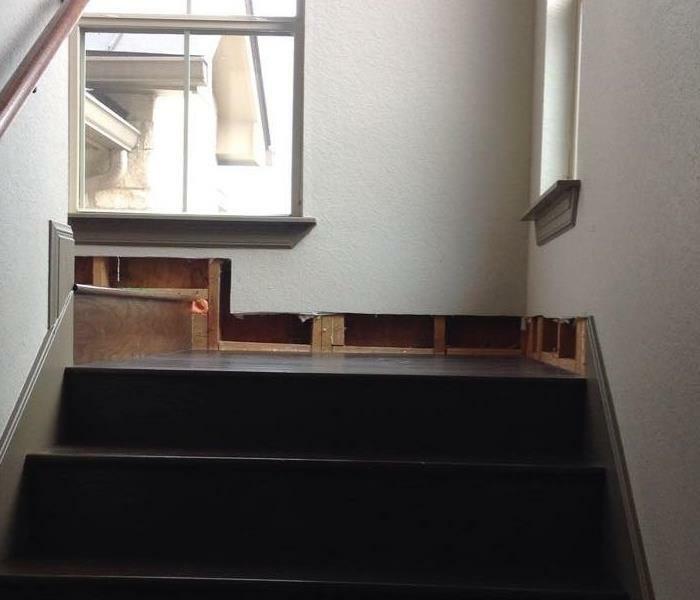 This Cleburne home owner had water running from an upstairs source down the stairs and into their living room. When we arrived the source had been shut off and repaired. We were then able to remove all wet materials properly and dry the area out completely. 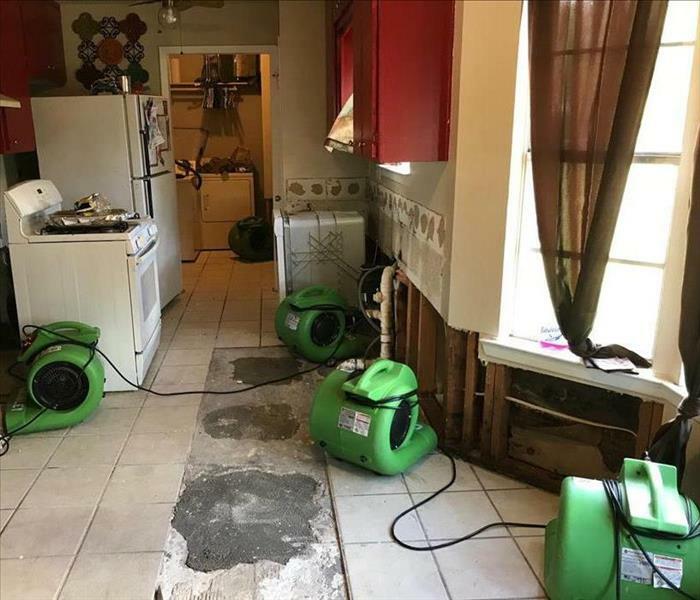 The drying equipment you see pictured here was placed in this kitchen after it suffered a water loss in order to speed up the drying process so that secondary damage such as mold could be prevented. 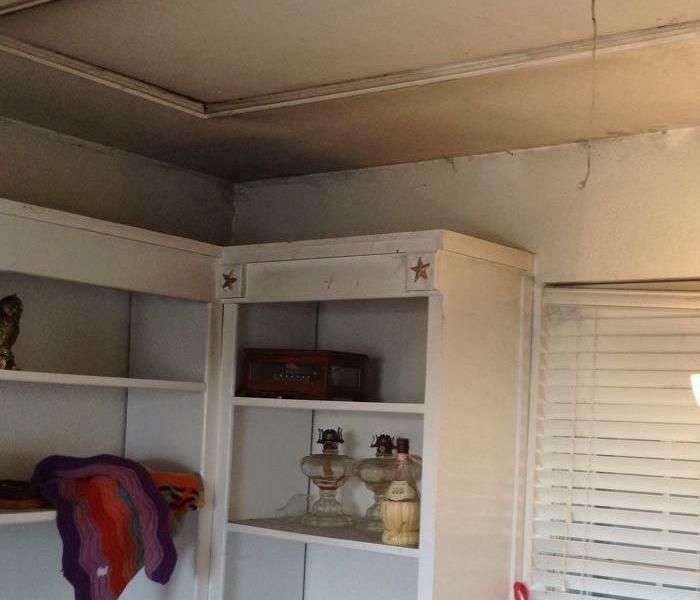 This home suffered heavy water damage from a damaged water heater. We were on site quickly when we were called in to handle the cleanup and repair. If this happens to you, give us a call. This facility had a water loss due to a leaking HVAC system. As you can see, the carpet in this classroom was soaked. We were fast to respond and had this facility back up and running quickly. 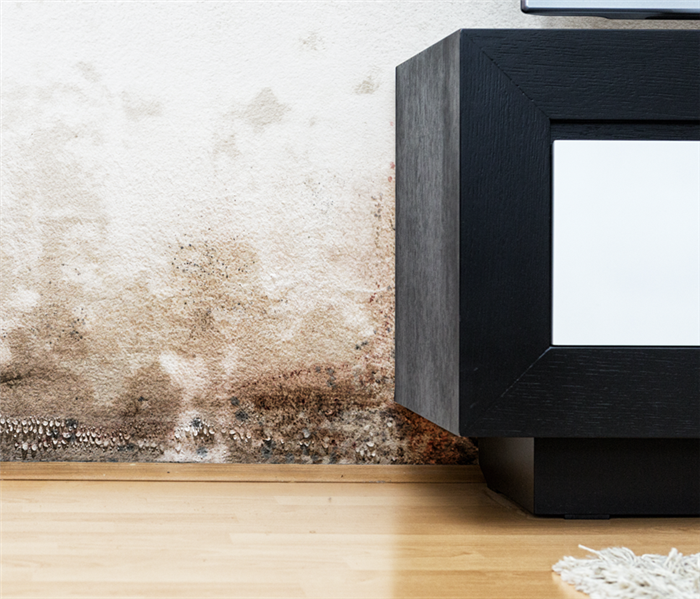 If you find mold in your home or business, you'll need a quick response from a team of professionals with the expertise and experience to deal with the problem quickly and correctly. Call SERVPRO! We brought in this drying equipment to help expedite the drying process after this facility suffered a large water loss. 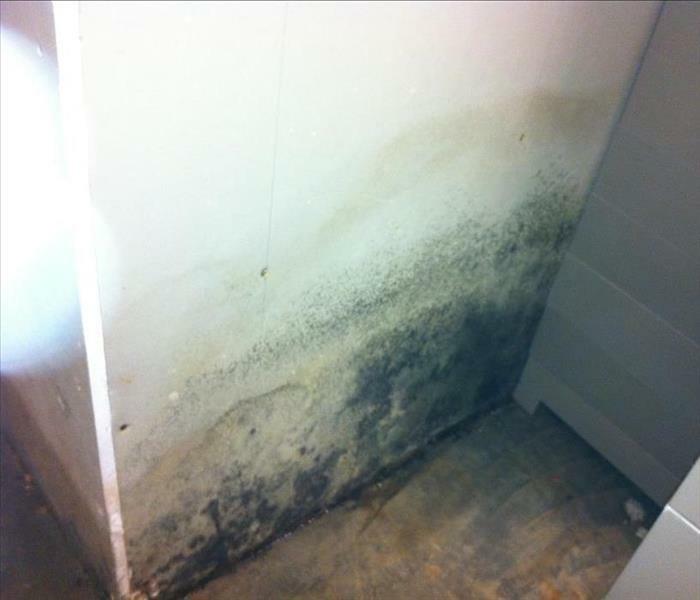 If your business suffers a water loss like this, call SERVPRO. We are faster to any size disaster. 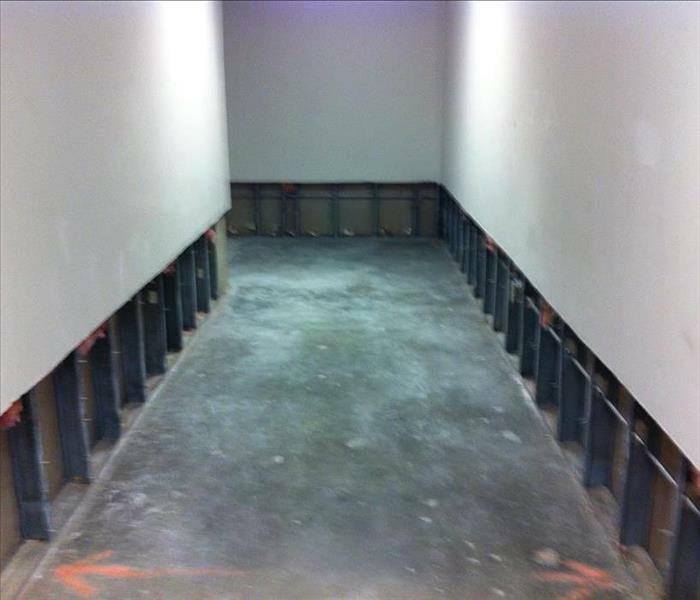 The flood cuts on these walls were performed after this commercial facility was damaged by flooding from a water loss. We were able to dry the building, make the repairs, and get them back up and running quickly. 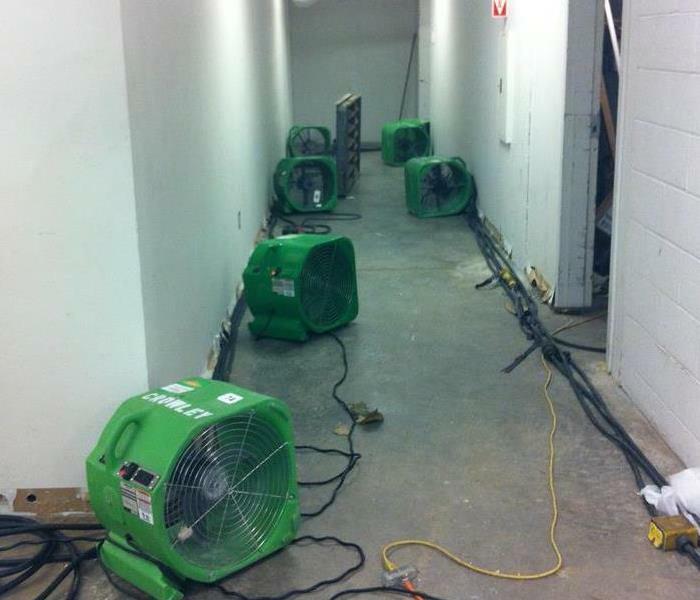 In this image, you can see some of the drying equipment we brought into this facility after a large water loss. We placed the equipment strategically throughout the facility to help expedite the drying process. 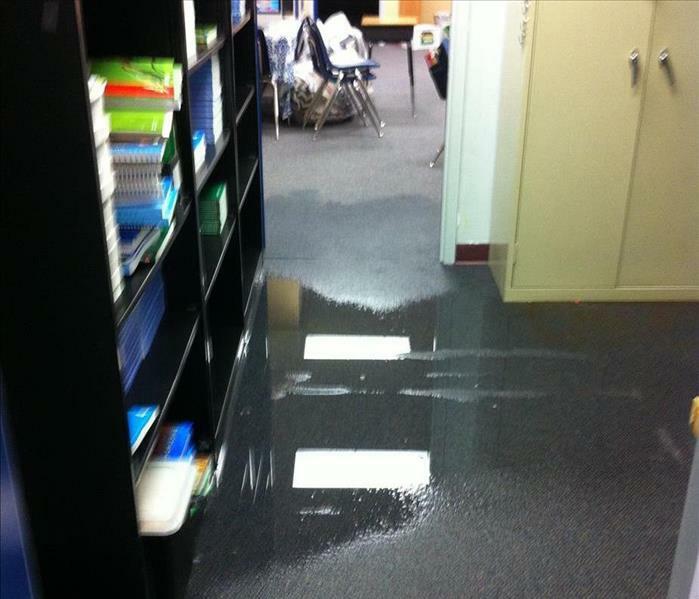 Our team responded to a water loss at this school that, as you can see, left it flooded. When we arrived, our first priority was the extraction of the standing water. If you have a loss like this, call us! 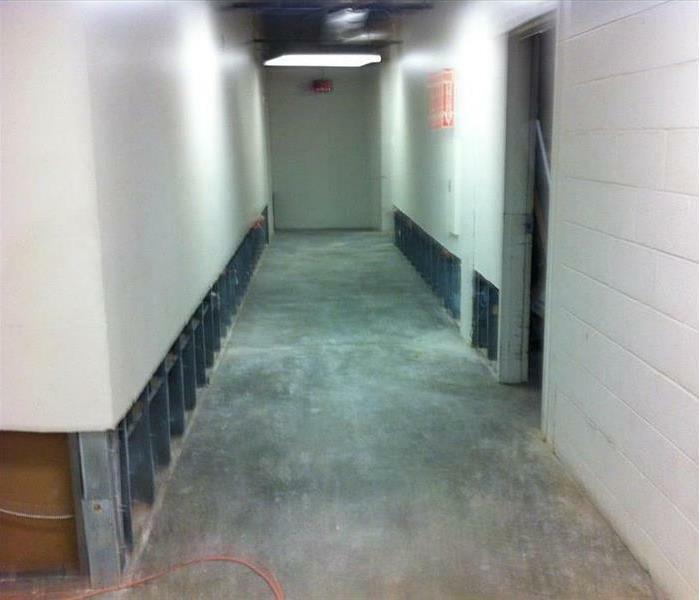 This image shows a hospital that was damaged when it experienced a category 3 water loss. Category 3 water is water that is grossly contaminated and may contain pathogens. It is crucial to deal with this the right way. 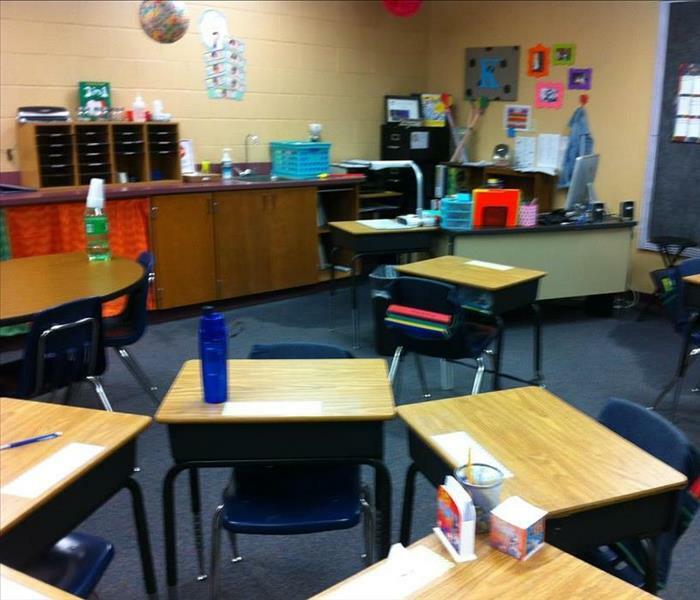 The classroom pictured here was one of multiple classrooms that were flooded when a pipe seal broke in an adjacent bathroom. Our team was on site quickly and jumped right into extracting the water from the facility. 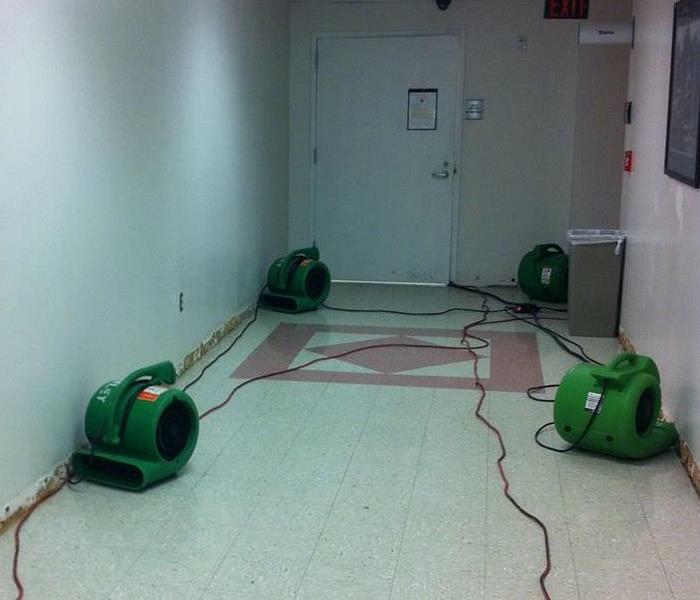 When a home or business suffers a water loss, you will often see us using equipment like you see pictured here to speed up the drying process in order to prevent further damage to the structure. In this image, you can see a commercial building that suffered damage from a water loss. As you can see from the image, we brought in specialty drying equipment to help speed up the drying process. SERVPRO has professional cleaning equipment and techniques for any type of restoration emergency to your home or business. 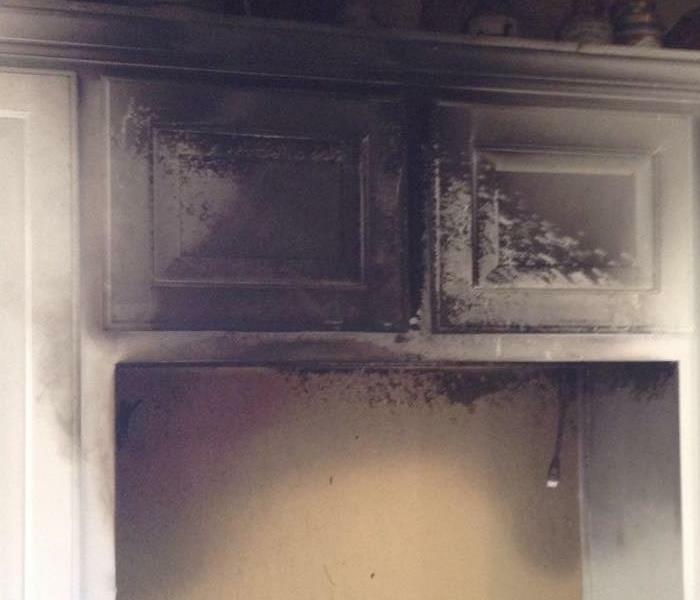 This fire was small but affected the cabinets which were cleaned by SERVPRO. This dining room suffered from water loss. The tile is easy to clean since the water can not soak into the tile. The baseboards were removed to ensure all water was dried to prevent any future loss. This was a commercial clean up after a water leak from a water fountain. The entire floor was soaked from water. The technicians have the right equipment to soak up the water quickly and prevent future loss. 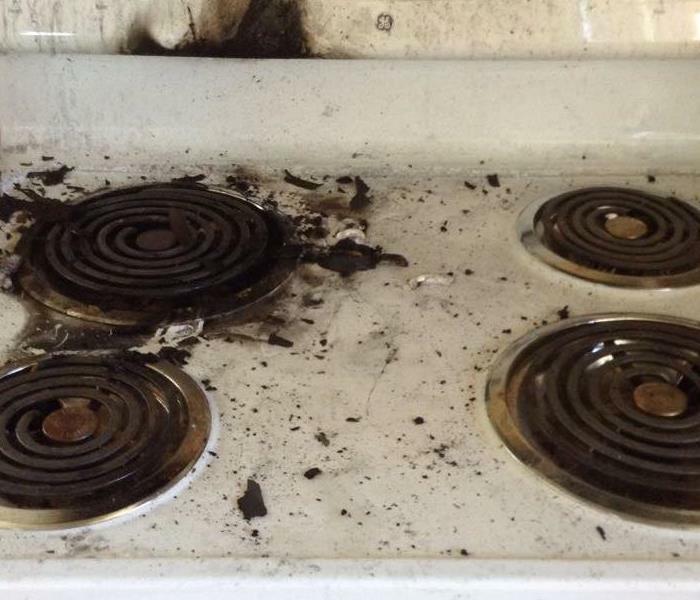 This was the aftermath of a small cooking fire. The soot and smoke stains can be tricky to clean. The backsplash behind the cook top was torn out to rebuild back to pre-fire conditions. The water from a supply line break can flood the entire home. This was a water overflow from bathroom which soaked the entire floor. 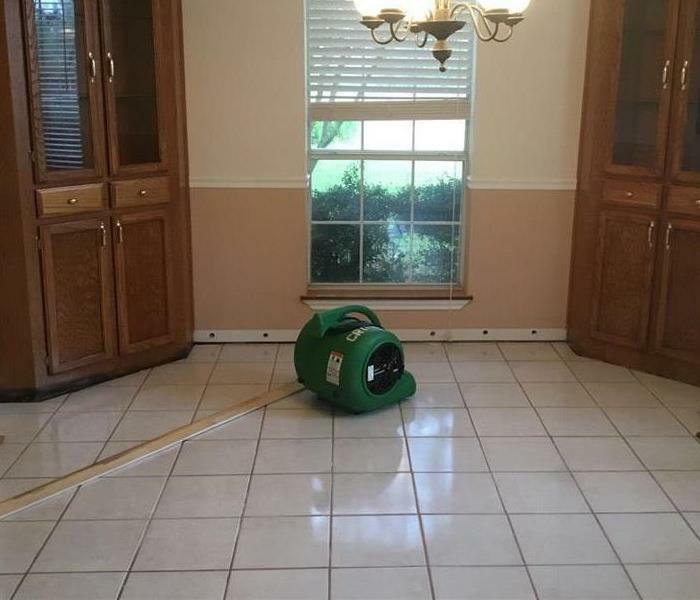 SERVPRO has the professional equipment to get the water dried quickly. 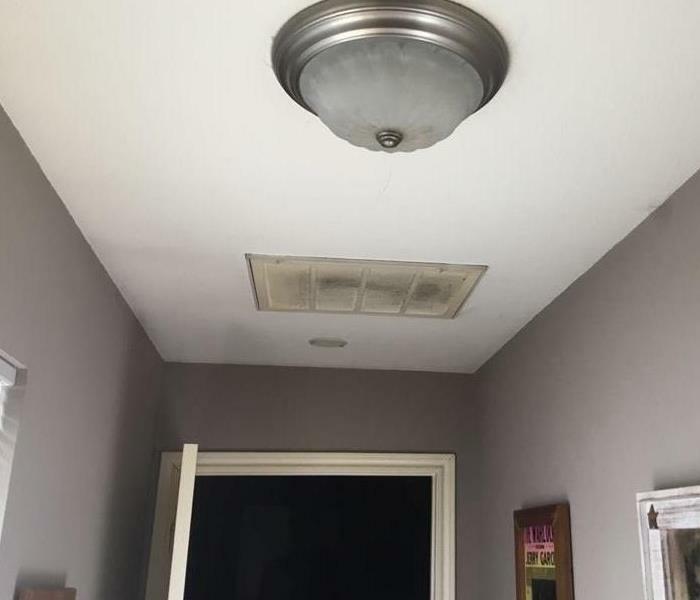 SERVPRO of Crowley and South Johnson County was on site of this mold job after it was caused from severe water damage over time. The team at SERVPRO had the mold tested and followed all recommended steps to get it cleaned. SERVPRO of Crowley and South Johnson County can handle any size mold loss. They follow all steps and recommendations to make sure the mold is cleaned and does not return. If you have any questions feel free to contact us at anytime. How do I clean up mold off my ceiling? Contact SERVPRO of Crowley and South Johnson County to come on site an analyze any mold issues you might have growing in your home. 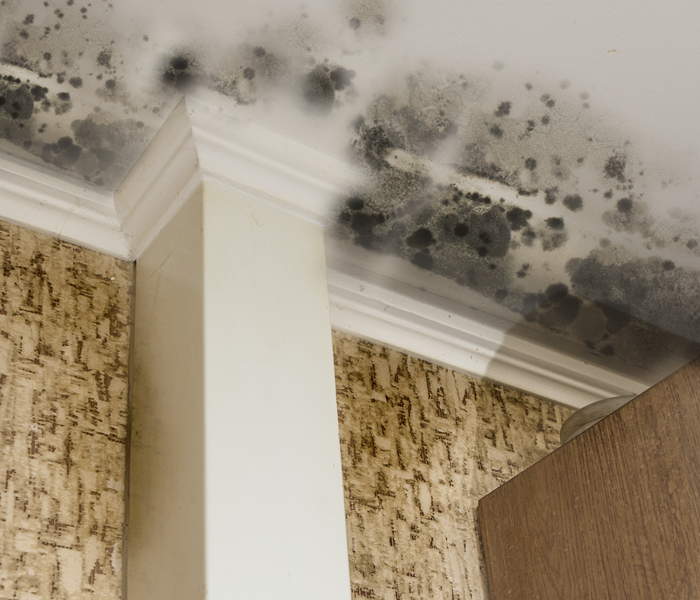 Our team is trained and qualified to handle any size mold loss. SERVPRO of Crowley and South Johnson County can clean up any issues you have with mold in your home. 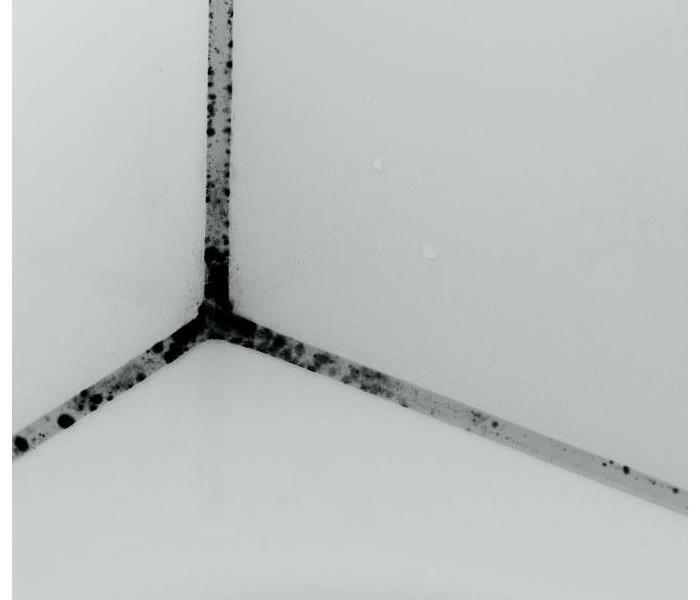 Many times tile grout will get microbial growth and the color of the mold can stain and create damage. Our team can help you in any situation, get it back to pre loss condition. SERVPRO of Crowley and South Johnson County specializes in mold cleanup and remediation. 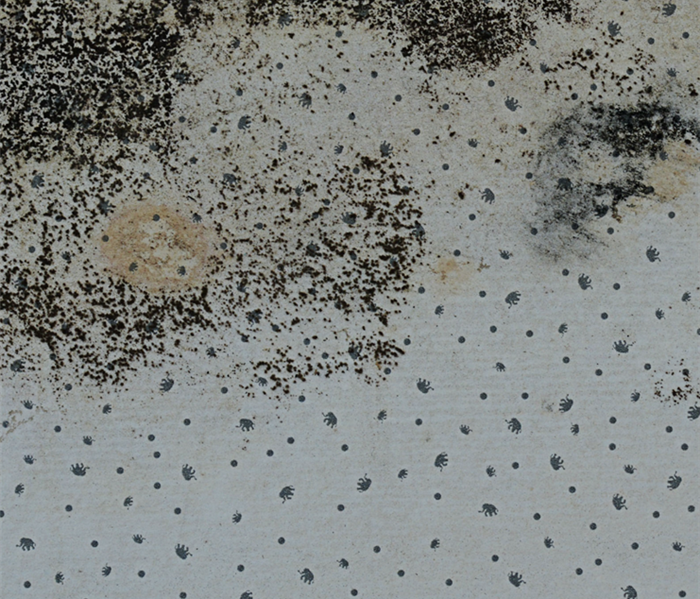 Every job involving microbial growth has unique challenges and processes. We make sure to follow all recommended steps from start to finish. SERVPRO of Crowley and South Johnson County can help remove and clean up any size mold job. 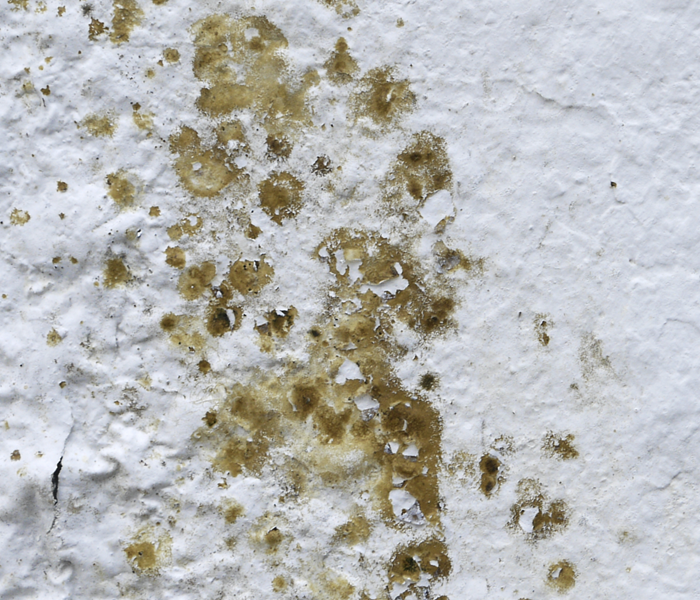 If you experience mold in your home our business, give us a call to evaluate. There is no job we can't handle. 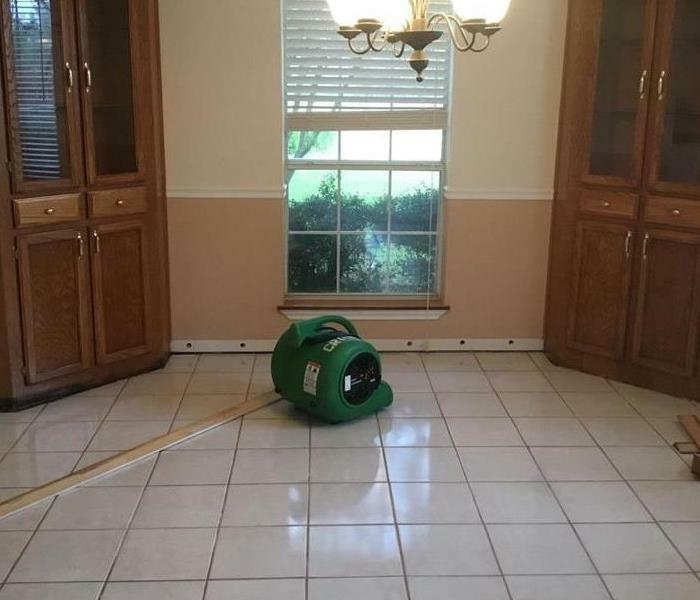 This home had a lot of water enter and needed to be dried. SERVPRO of Crowley and South Johnson County was on site and started extracting the water. Once all of the water was gone, they placed drying equipment to have it completely dry in a few days. This home had flooding from an overnight storm. 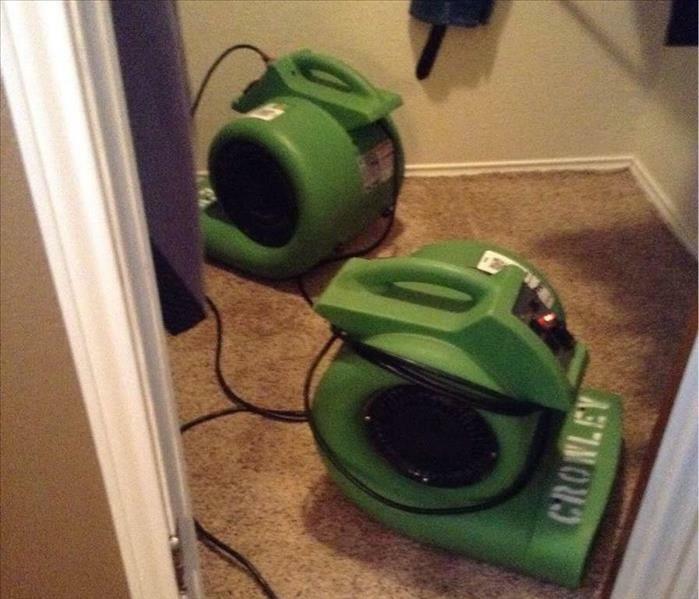 SERVPRO of Crowley and South Johnson County was quick to respond and begin the mitigation process. After all of the water was cleaned up, the team placed plenty of drying equipment to finish the job. After a fire in your home it is important to get it cleaned up and restored as soon as possible. 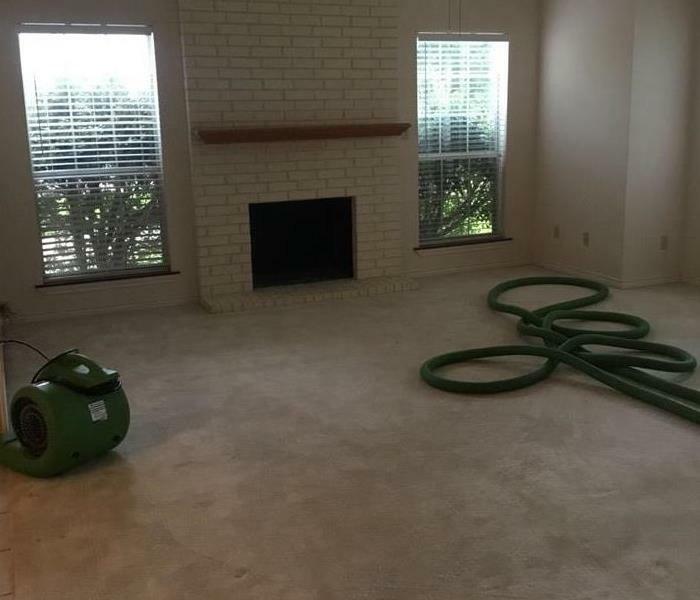 Working with a company like SERVPRO of Crowley and South Johnson County is a smart move to make sure the job is done quickly and efficiently. SERVPRO of Crowley and South Johnson County specializes in cleaning up after you have a fire in your home. If you experience a fire loss, get in touch with SERVPRO immediately to get someone on site to evaluate. 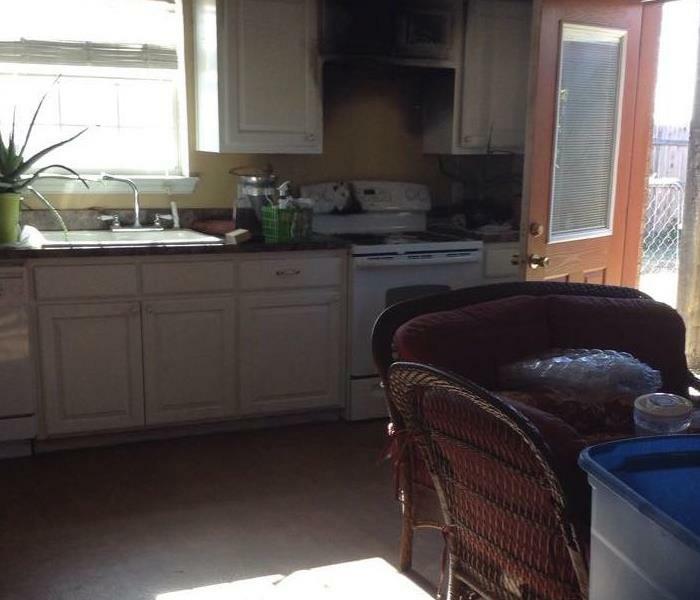 This home had a massive fire in the kitchen and it caused lots of damages throughout the home. In this picture you can see smoke webs in an adjoining room. If you have any questions about fire restoration services, feel free to reach out to SERVPRO of Crowley and South Johnson County. 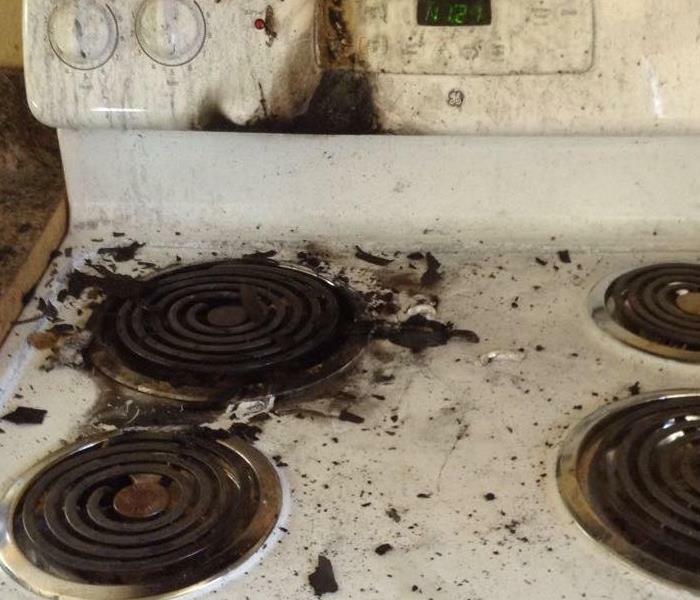 What do I do if I have a fire in my kitchen? 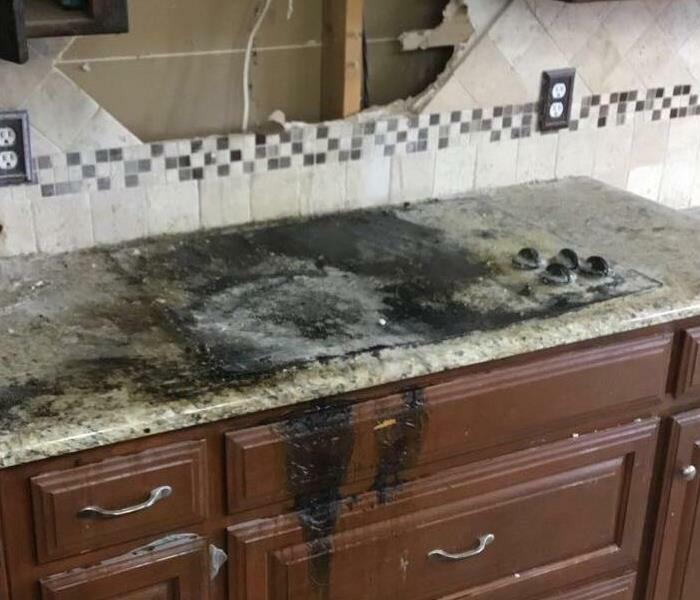 If you have a fire in your kitchen it is important to get the team at SERVPRO of Crowley and South Johnson County onsite to evaluate and come up with a detailed plan for restoring your home. 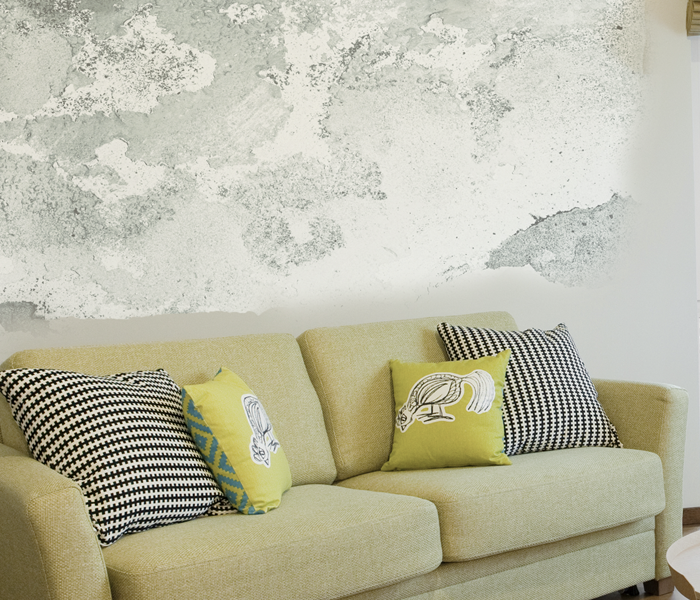 If you experience a fire in your home, it is likely there will be soot damage on the walls and ceiling. SERVPRO of Crowley and South Johnson County has a team in place that can make sure every inch of your home is properly cleaned. This home had significant damages from an overnight fire. 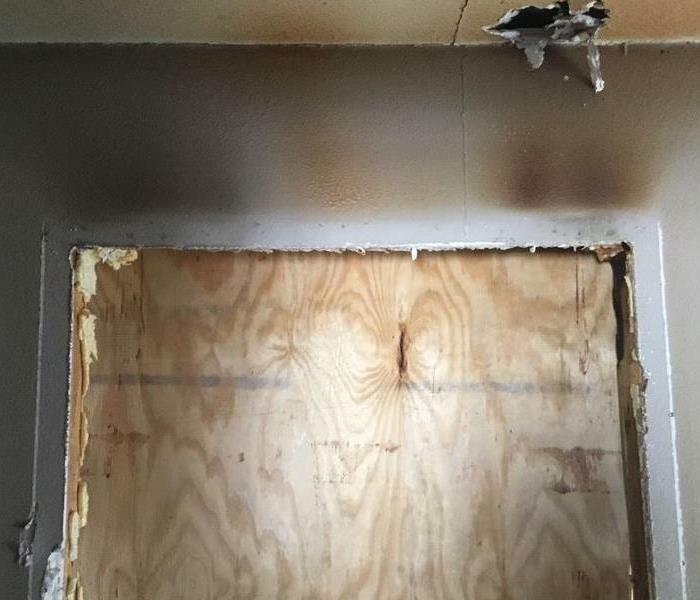 SERVPRO of Crowley and South Johnson County was on site as soon as the home was released from the fire department to start the cleanup and restoration process. SERVPRO responded to this kitchen after water leak under the sink causing water damage. 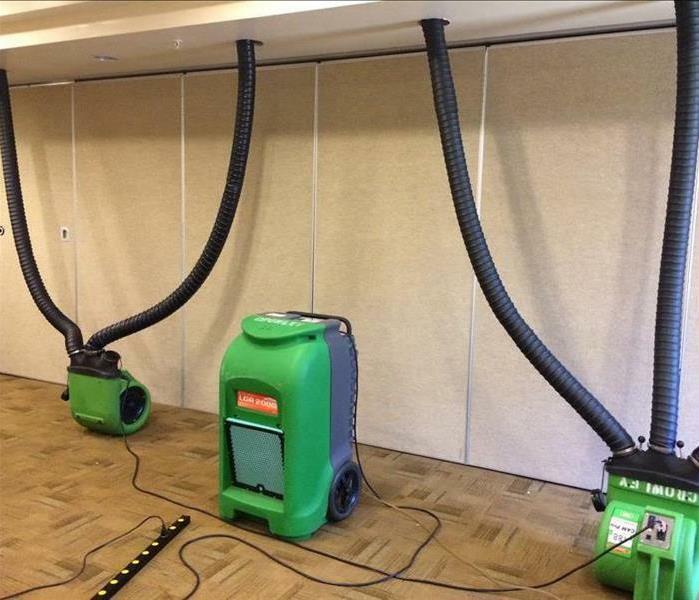 The technicians at SERVPRO have the water removing equipment and advanced drying techniques to take care of any water damage causing loss. 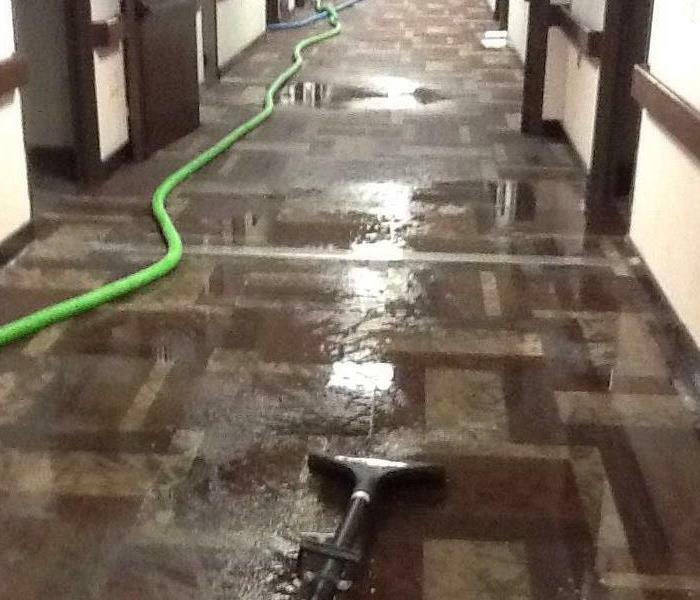 SERVPRO can respond to any of your water damage needs. 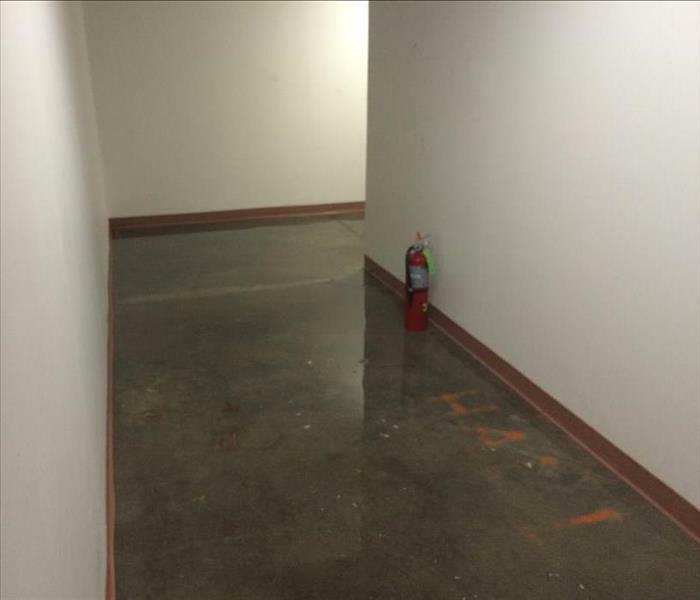 Water damage can come from storm, fire, or flooding causing loss to your home or business. Our trained technicians can respond immediately to get started on your clean up. SERVPRO responded to this water damaged Community Center. 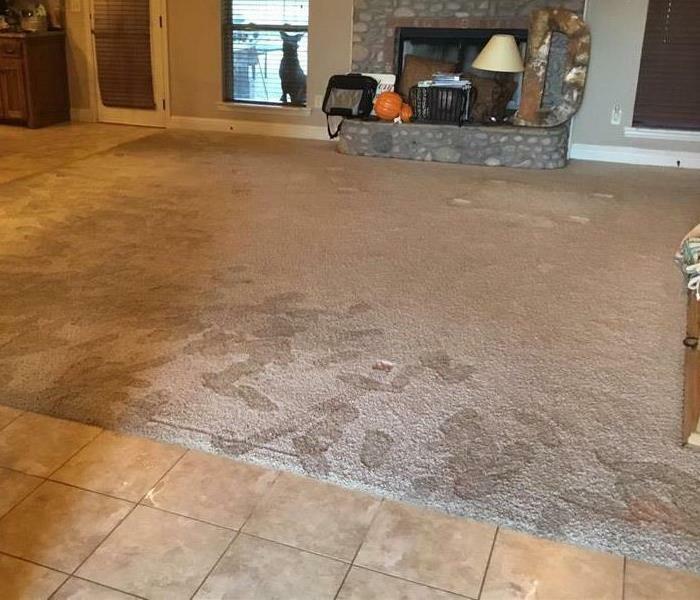 Our trained water experts have the experience and expertise to dry your water damage as quickly as possible. We are available any time 24/7 for your emergency needs. This is the after picture of a sprinkler bursting and causing water damage in an Assisted Living Home. SERVPRO has the equipment to extract water and advanced drying system techniques to get the damage cleaned up. 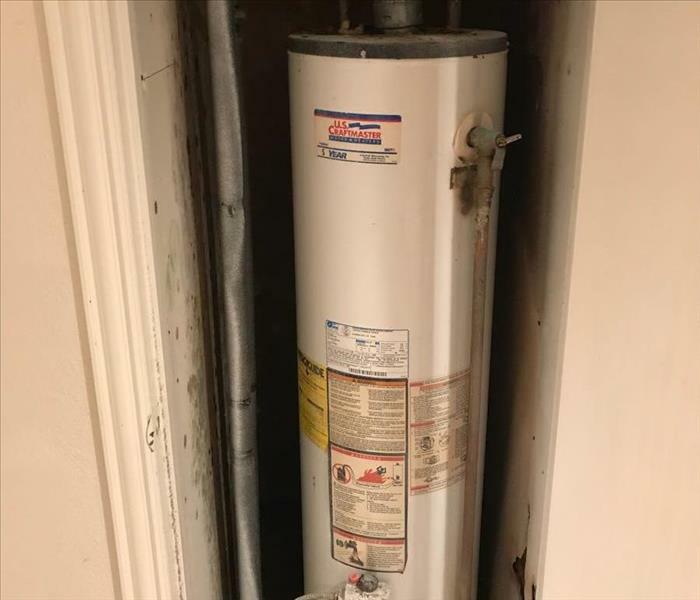 After a water heater leak in the closet of a local home, SERVPRO quickly arrived at the scene to start working on water damage restoration. When it comes to your restoration needs, you can always trust SERVPRO to get it done! We are Faster to Any Size Disaster. This time, to a commercial water loss after a school fountain leak. 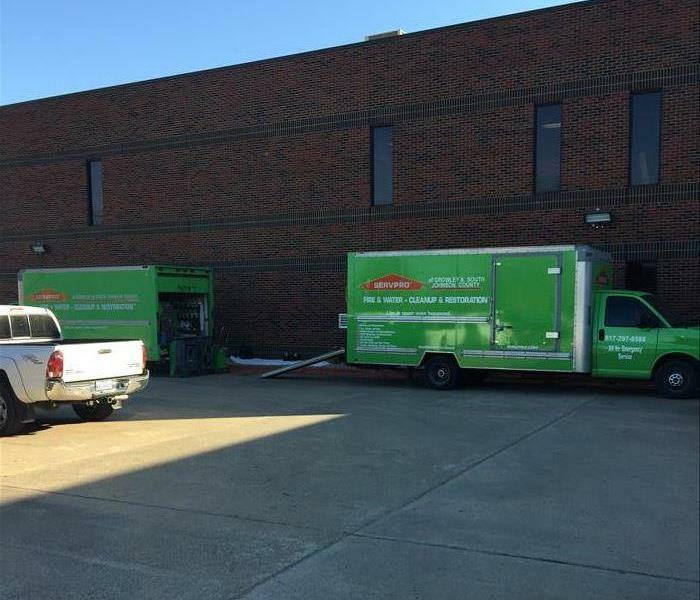 SERVPRO of Crowley & South Johnson County responded and arrived quickly to get everything back on track again. There are times where our technicians and crew chiefs have to be creative in their way of drying. Attending the Commercial Drying Specialist training from the IICRC helped them on their way to becoming experts. Water restoring happens in many different ways. Sometimes it's a home and sometimes it is a commercial property. This Hotel in South Johnson County needed drying after it had suffered storm damage. Our very own Cecil Yates is at the forefront of the Disaster Response Team in this photo! If you have storm damage and need a quick response, this is the team you need to call! 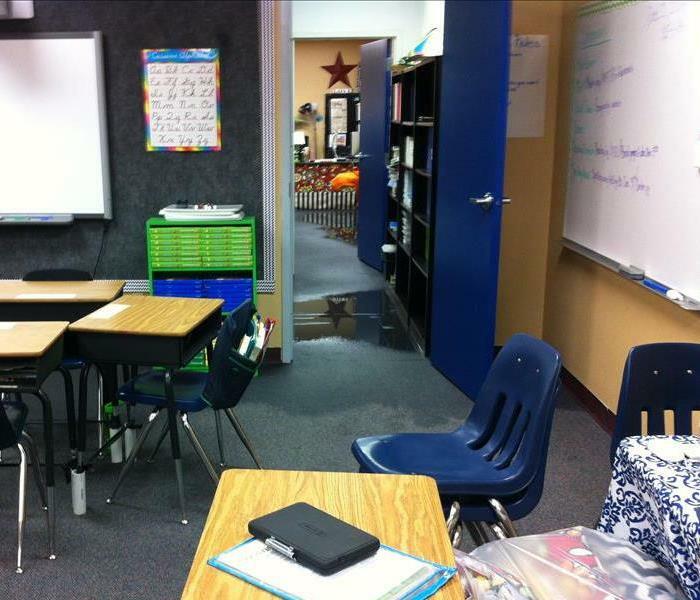 One of Cleburne ISD's schools was flooded with muddy water coming from outside. 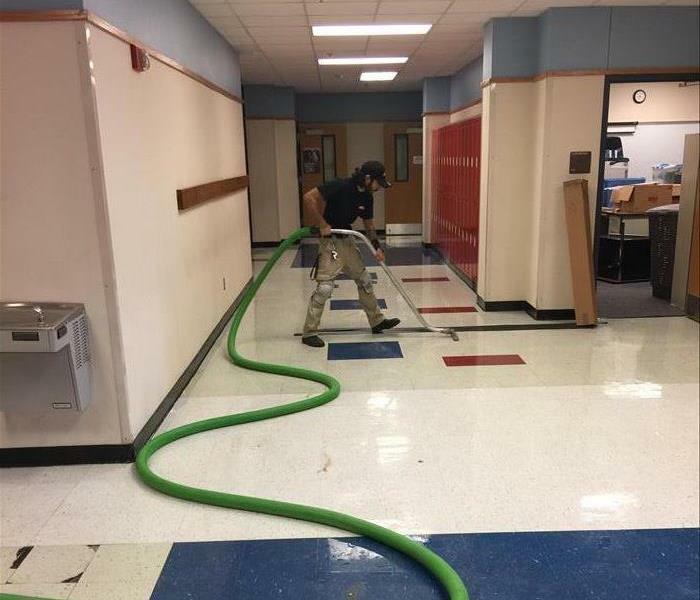 The water was contaminated and spread across the school, but the site was saved from permanent damage by SERVPRO of Crowley. Disasters happen. When they happen to you, no matter if it is due to water, fire, storms, mold or anything else, call us. We can handle whatever you throw at us because we are always ready for whatever happens! This church suffered a water loss and needed help fast. That is exactly what we do. No matter what happens or when, we are always ready to respond to your call. That's why we say we are Faster to any size Disaster! SERVPRO of Crowley and South Johnson County was called to extract and get this facility dry. Our team worked quickly around the clock to make sure the facility could be back open immediately. If you have any questions about cleaning up after a storm, feel free to reach out at any time. 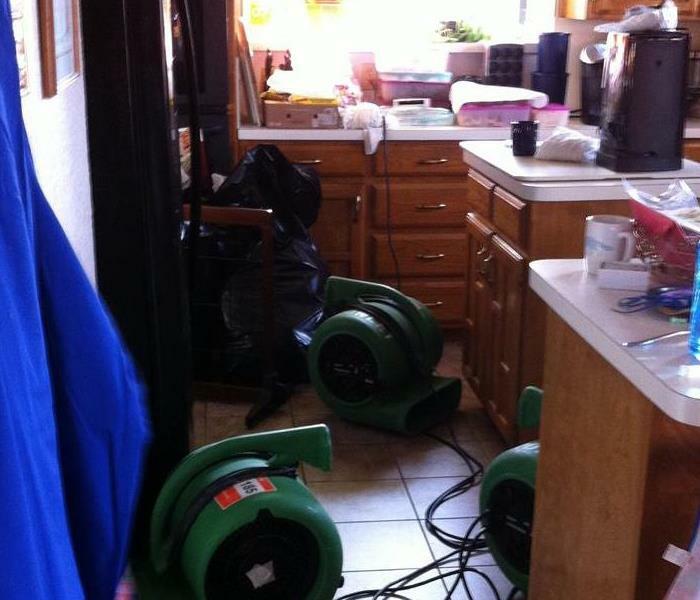 Our team at SERVPRO of Crowley and South Johnson County responded to this water loss. We were quick to arrive and begin extracting water. If you have any questions about our large loss commercial services, feel free to contact us at (817) 297-8588. 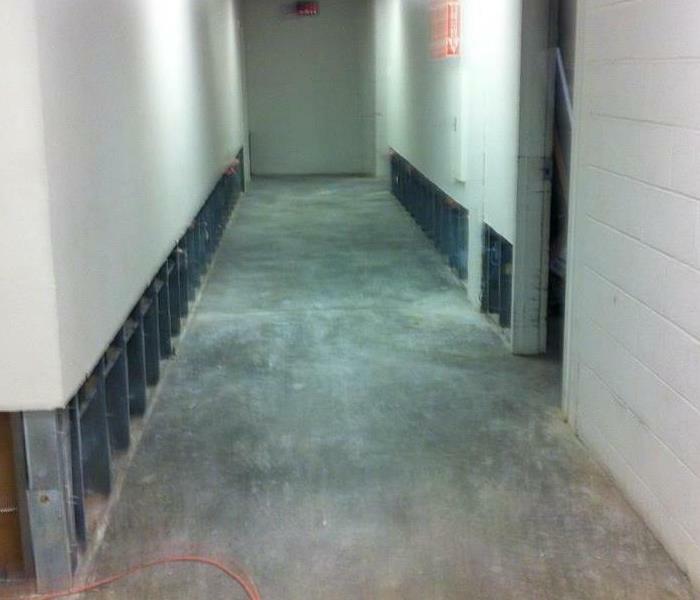 This facility had a water loss and SERVPRO was quick to respond and extract all of the standing water. After we got all of the water up, our team was able to get dry within a few days so no secondary damages occurred. 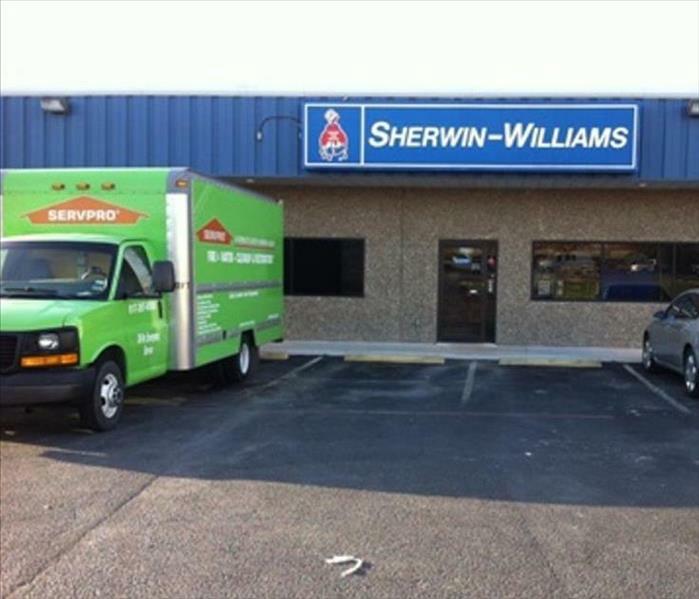 SERVPRO of Crowley and South Johnson County was called to help out at ShERWIN Williams after some water entered the store after heavy rains. 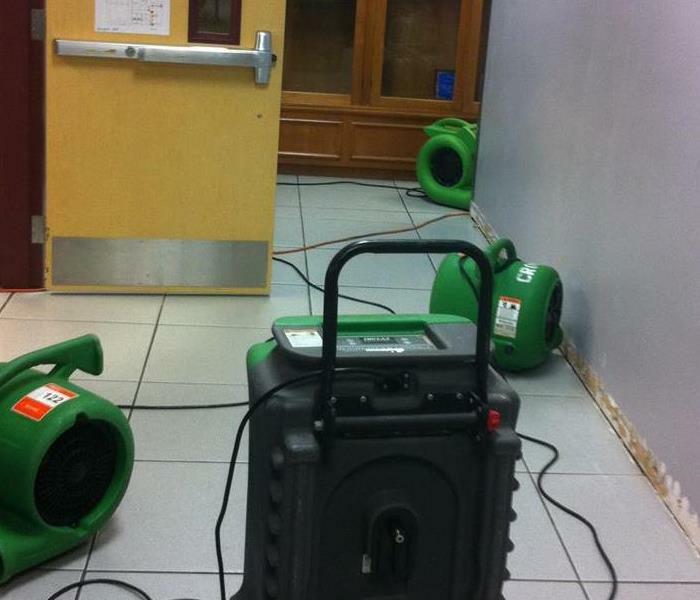 SERVPRO was able to get all of the water extracted and drying equipment in place.